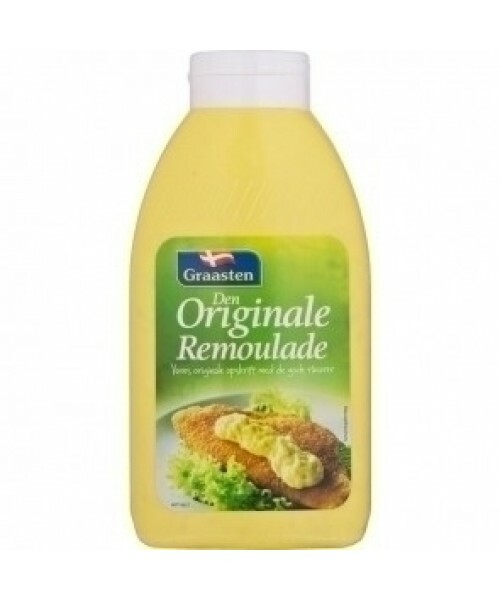 Remoulade, a Danish favourite. Creamy in appearance, we think it tastes like a cross between mayonnaise and tartare sauce. Delicious! Customers who bought this product also bought the products shown below. 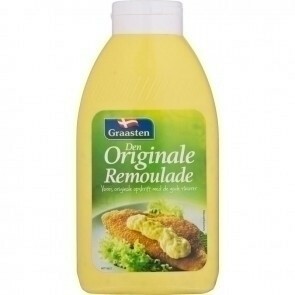 Remoulade is an essential ingredient on open-face roast beef sandwiches together with fried onions. Why not try it with breaded fillets of fish and hot dogs, complete with sweet mustard and pickled cucumber slices. Rapeseed oil, water, white cabbage, sugar, cauliflower, pickled cucumbers ( cucumbers, vinegar, sugar, salt, flavours, sweetener (E954)), pasteurised egg yolks, vinegar, thickeners (modified starch, E412, E415), acidity regulators(E270, E262, E296), mustard, salt, preservatives (E202, E211), spices, curry powder.